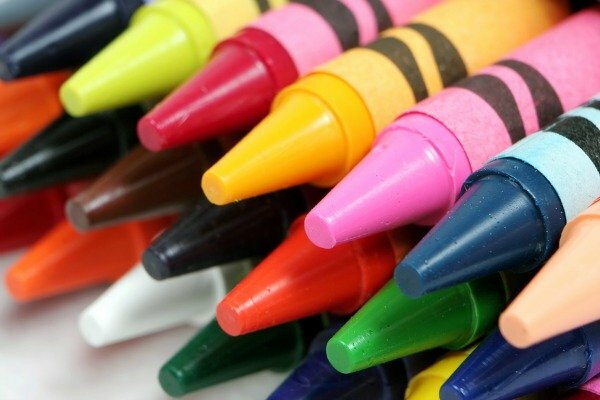 Does your preschooler love colors? I often catching her singing one of the songs from her LeapFrog Shapes and Sharing Picnic Basket, which is about the colors of the rainbow (I tried to get a clip of her singing it for you, but she’s not overly cooperative when it comes to stuff like that), and she is a whiz at knowing which play-doh colors she has to mix together to make pink, orange, green, purple, light blue, and grey thanks to her beloved Play-Doh Sesame Street Color Mixer. But while these toys are great color activities for her when I’m trying to cook dinner or scrub the toilets, I am always on the hunt for activities the 2 of us can do TOGETHER, especially now that summer is coming to an end, so I hopped on over to Pinterest and found 10 easy and fun color activities for preschoolers that I can’t wait to try. And since these activities are great boredom regardless of how much (or little) a child knows about colors, I couldn’t resist passing them along to you. 1. Get out the colored cereal and give this colorful, scented art idea I found over on Mess for Less a try! 2. Why not incorporate a little math with this pom-pom color, sort, and count activity by Learn With Play at Home? 3. Before you put those pom-poms away, make one of these pom-pom drops I stumbled across over on Princesses, Pies, & Preschool Pizzazz. It’s sure to be a hit! 4. Grab some clothes pins, paint, and a foam board and make this fantastic color wheel I found on Craftionary! 5. Bust out the building blocks and colored masking tape and let your kids go wild with this color and shape table top activity I found on Teach Preschool! 6. Get out some construction paper and popsicle sticks and make this adorable (and fun!) summer popsicle activity by Roots & Wings Co.
7. Why not play Twister with your toddler like Jennifer Perkins does?! 8. Head on over to Kids Activities Blog and check out this awesome Lego rainbow activity. It’s a fantastic way to teach your kids about colors, sizes, shapes, direction, and patterns all at the same time! 9. If your kids like to get messy, try this colorful spaghetti sensory play activity by Teach Preschool. 10. Grab some colored buttons and old jar lids and make one of these fabulous color sorting busy bags I found over on All Our Days. 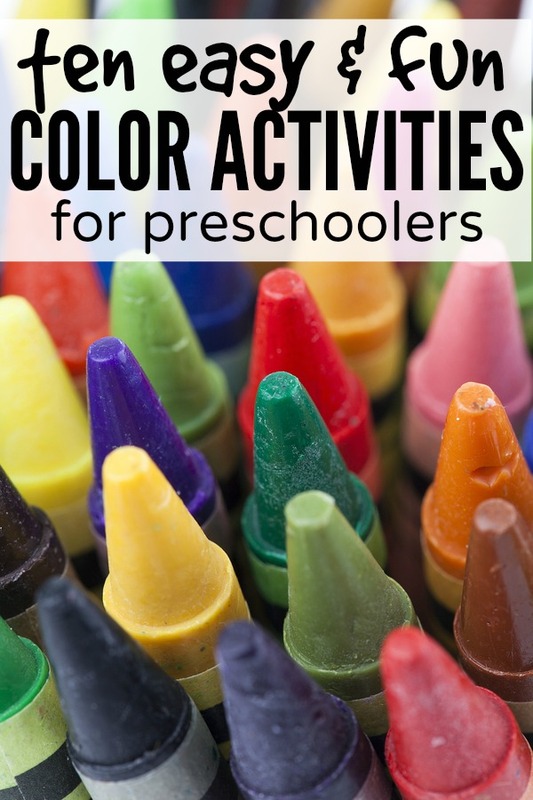 If you enjoyed these color activities for preschoolers, please share them on Pinterest! And if you’re looking for more ways to have fun with your kids, please follow our Kids board where we share all kinds of fun crafts, activities, and games!